For a tennis net that will last the whole year through, try the Champion Sports Four Season Tennis Net. 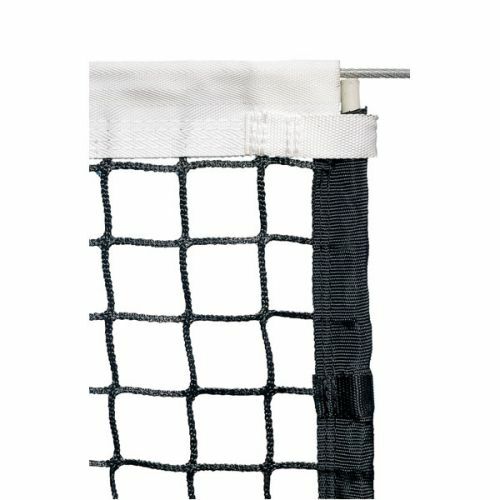 Designed for tournament style play, the 3.8 mm knotless polyethylene netting is sealed with a polyester coating, which enables it to withstand seasonal changes. 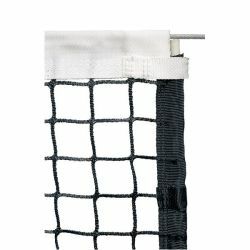 It features a double reinforced 2.5" headband made of 100% polyester, with polyester side pockets and dowels for support. The net also includes a sturdy vinyl coated steel cable.